They stood in long queues among thousands of hopefuls, got their hands on the much-coveted golden ticket and survived theatre week and solo performances . . . They stood in long queues among thousands of hopefuls, got their hands on the much-coveted golden ticket and survived theatre week and solo performances. They’re this season’s top 16 Idols contestants who won over the notoriously tough judges. Judges Unathi Msengana, Gareth Cliff and Randall Abrahams announced the top contestants in a dramatic episode with plenty of excitement, hugs and tears. The majority of contenders are from Gauteng province: Bunny Majaja (26), Carlé van Deventer (30), Tumi Lesenjane (21), Sonke Mazibuko (21) and Philip Dube (20) are representing the city of gold. Right on their heels is the Western Cape with four contestants. Amy Jones (20) from Paarl couldn’t believe she’s in the top 16. “Are you serious?” she asked the judges. She’s joined by Benjamin Tainton (19), Lee-Ron Malgas (18) and Zoë Zana (19). A crowd favourite from theatre week’s solo performances is Brenden Ledwaba (19). He and and Musa Sukwene (26) are both from Mpumalanga. Representing Durban are Grade 10 student Jono Johansen (16) and teacher Crystalene Nair (24). Both Christina Williams (21) from Port Elizabeth and Innocent Mabushe (27) from Phalaborwa, Limpopo, are the only contestants representing their respective cities. It’s now up to the public to vote for their favourite contestant to keep them in the competition. 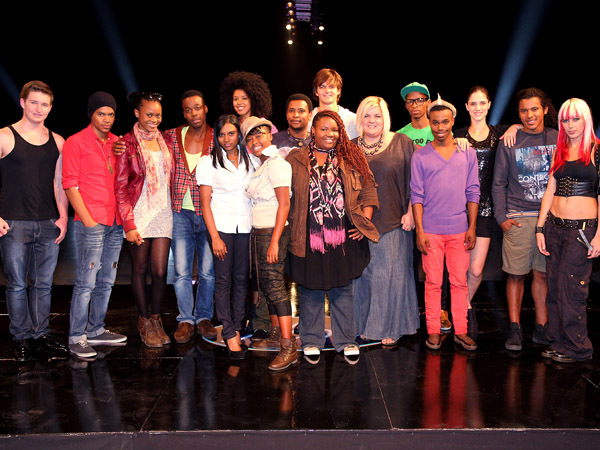 Catch Idols every Sunday at 5.30 pm on M-Net and Mzansi Magic (channel 161).